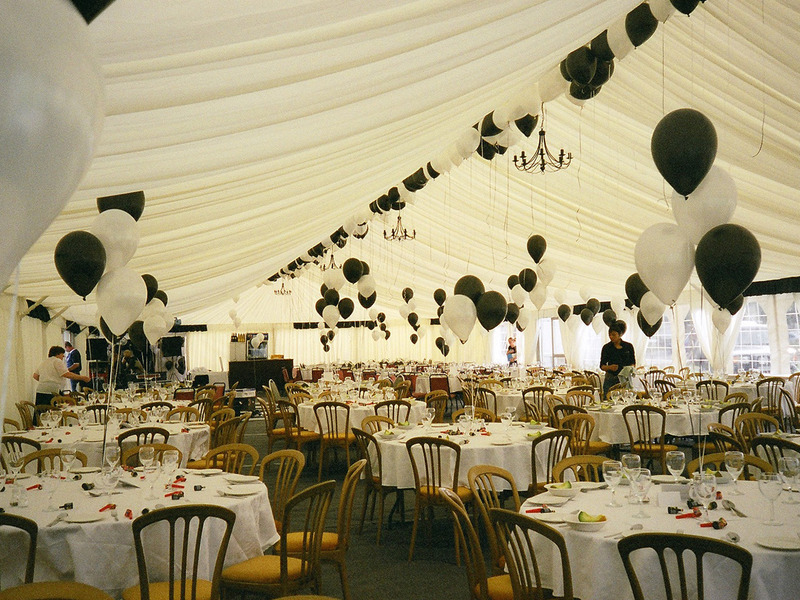 In 1986, Marquee Leisure pioneered the small clear span aluminium framed marquee, for ‘The at Home’ family event. 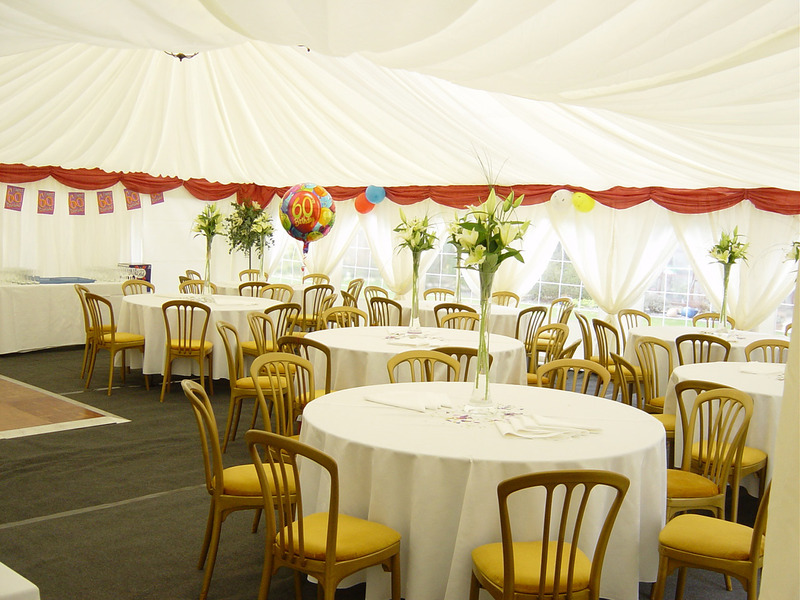 We still accommodate for the family party, such as a marquee attached to your house for Christmas Dinner for as little as a dozen people, which can be fully lined with festive colour Schemes, a banquet table to seat large families with guests, and heated to a temperature more than comparable to your home. 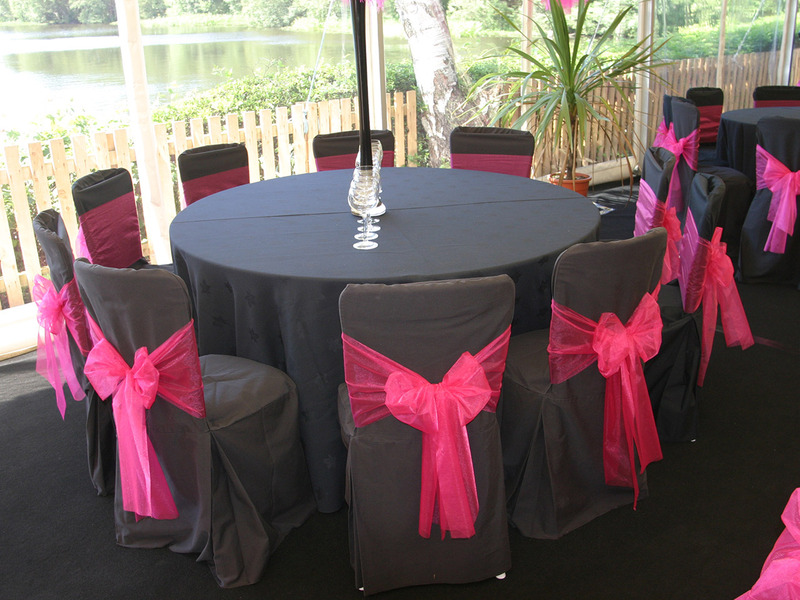 However our now greatly increased inventory allows for parties in excess of 200 or more guests – as long as you have the space – whether it be for a christening, or 1st Birthdays, where we can offer pink or blue swags for the occasion, or for that special Birthday or Wedding celebration. 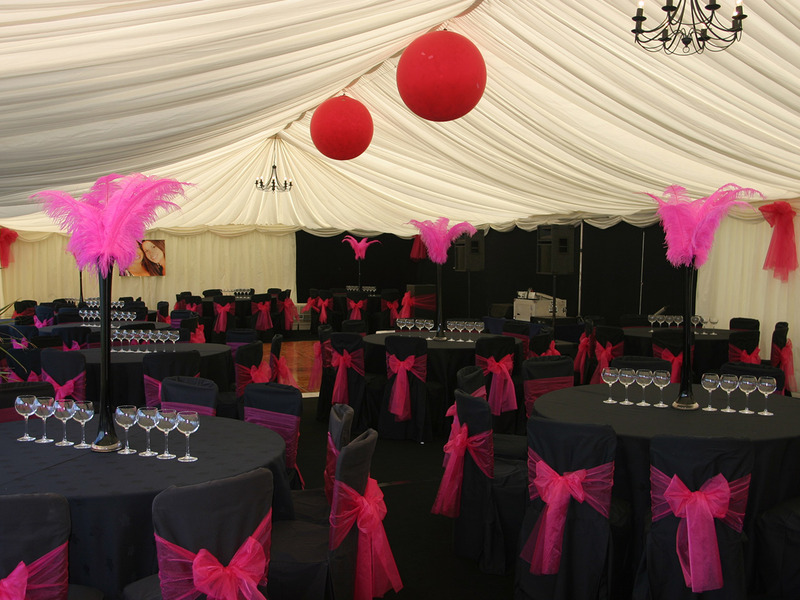 The Marquee (whatever ever the size) can be as basic as just a cover, or as lush as a ‘Themed’ or ‘Black Tie’ party, whether its celebrating a Birthday, a Cocktail party for friends, or you just feel like having a good time. 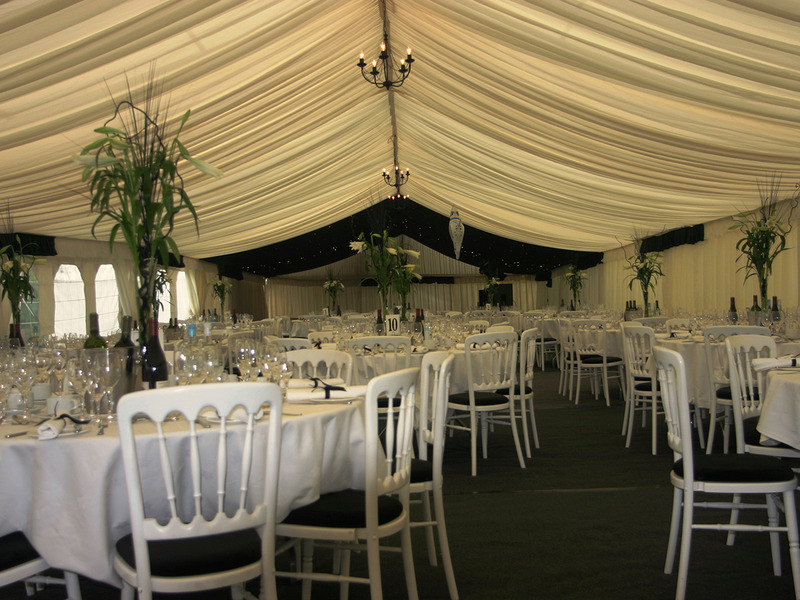 The following example gives a typical guide for this type of marquee events. We hope they provide useful guidelines. 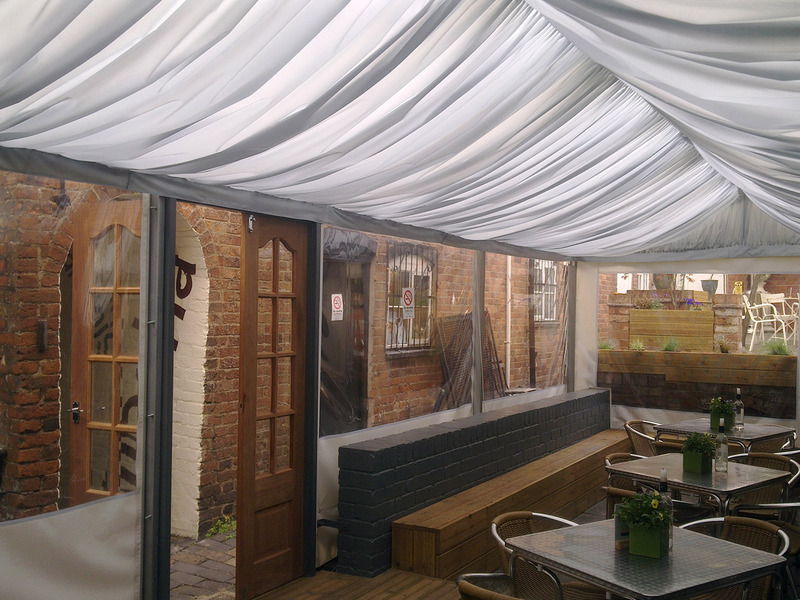 For individual advice and a free personalised quote, please contact us.